In this period, women’s movements and activism aimed at ending discrimination against women and inequality grew exponentially, and many women’s rights organizations began forming all around the world. Activists sought to change the situation of women in relation to the law and legal frameworks, as well as social and cultural practices and norms; they challenged traditional models of the role of “women in development” and proposed alternative frameworks of development from a Southern perspective; they demanded women’s reproductive rights as well as their right to health and sexuality; and they established the academic field of women’s and gender studies among other endeavors. 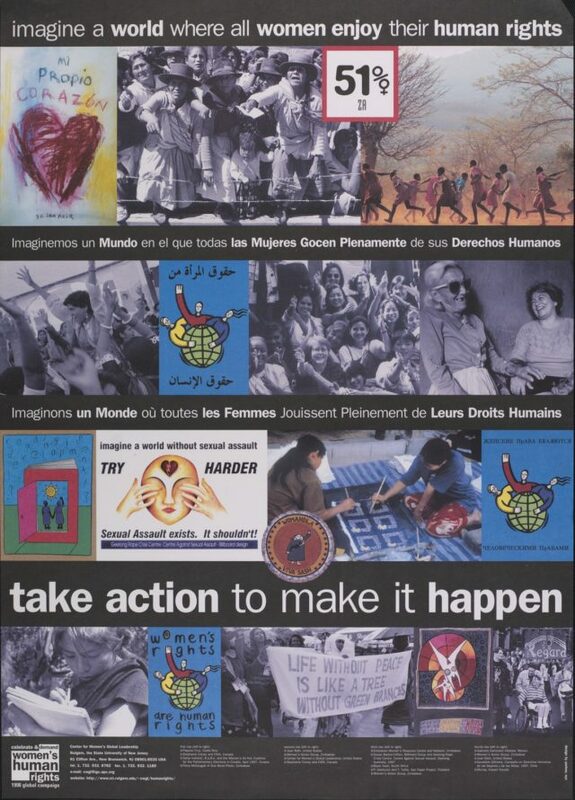 In 1991-92, many women’s organization around the world came together to form a loose coalition called the Global Campaign for Women’s Human Rights that was to lay the groundwork for feminist advocacy at the historic World Conference on Human Rights in Vienna in 1993 (also known simply as the Vienna Conference). Among the key regional and global networks were: ISIS International (1976), International Women’s Tribune Centre (IWTC, 1976), Change (UK 1979), Development Alternatives with Women for a New Era (DAWN, 1984), Women Living Under Muslim Laws (WLUML, 1984), International Women’s Health Coalition (IWHC, 1984), Latin American and Caribbean Health Network (1984), International Women’s Rights Action Watch (IWRAW, 1985), Asia Pacific Forum on Women, Law and Development (APWLD, 1986), Comité Latinoamericano por la Defensa de los Derechos de la Mujer (CLADEM, 1987), The Center for Women’s Global Leadership (CWGL, 1989), Women in Law and Development-Africa (WiLDAF, 1990), and IWRAW-Asia Pacific (1993). These organizations and networks were instrumental in sharing and circulating information and preparing for the Vienna Conference, which they had identified as a key venue to advance their demands. In the leadup to the Vienna Conference, they forged partnerships, developed advocacy positions and demands, identified emblematic cases that would best illustrate the intersection of gender and human rights, mobilized grass roots interest and understanding of global policy-making and its implications for national and regional developments, and lobbied governments to press for the recognition of violence against women as a human rights issue affecting women in all regions.